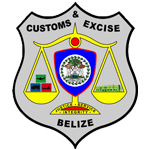 With the inclusion of Belize Western Border Station in Benque Viejo and the Belize Northern Border Station in Santa Elena, Corozal in July and August of 2012, the Comptroller of Customs has sanctioned ASYCIUDAWorld throughout Belize's Customs territory. The clearance of cargo is being facilitated through ASYCUDAWorld at all designated ports of entry. Select banks have increased efficiency for payment of duties and duty payments may be effected at any bank branch nationally for declarations being imported through any Customs Station. Other procedures remain to be finalized and the final efforts are underway to ensure their completion. The Customs Department ASYCUDAWorld Project Team has started work to streamline Passenger Baggage processing through ASYCUDAWorld at The Phillip Goldson International Airport as well as Passenger Control at both Benque Viejo and Santa Elena Border Stations. The new development will include Passenger Customs Declarations as well as duty payments at these stations' Customs Cashier. The Comptroller of Customs has endorsed the inclusion of other relevant Government Departments such as General Sales Tax Department and the Government Treasury to to be linked to and access ASYCUDAWorld. The new development ushers in a new and efficient method of data sharing between Government Departments that delivers information and statistics in real-time. Keep abreast with the latest procedural and technical updates in ASYCUDAWorld Belize as well as future implmentations of Customs stations and procedures. Oracle, the current developers of JAVA has issued a security notification regarding the older versions of Java Runtime Environment (JRE). See the details in the ASYCUDAWorld page. If you are having problems logging in to ASYCUDAWorld eventhough your credentials are correct, or if you cannot view or open waybills, declarations, or any other document, your SOClass and JAVA Cache needs to be cleared. Click Here to find out how to complete this process.